Tickets to all Major Operas Season 2018-2019 available here. Opera tickets for any and all operas can be secured free of hassle at ProvidingTickets – the ticket provider for events in music, arts and theatre and sports that offers a highly personalised service at all times. Tickets are available for all important Operas in all Major Opera Houses, from La Scala in Milan to Teatro Colon in Buenos Aires, to The Royal Opera House in London. How about Vienna Opera Ball? We can get you the greatest seats! From 17th century works by Monteverdi, Cavalli, and Purcell to late 20th century operas by Messiaen, Berio, Glass, Adams, Birtwistle, and Weir, we have it all! For INFO, TICKETS AND PRICES, click here. ‘I don’t want my freedom / there’s no reason for living / with a broken heart’. There it is encapsulated: a profound truth regarding the human condition. The Italian opera ‘Pagliacci’ by composer Ruggero Leoncavallo inspired the late great Freddie Mercury to write ‘It’s a Hard Life’, a Queen classic from the vaults which borrowed its opening melody from the aria ‘Vesti la giubba’ from this opera, undoubtedly also inspiring this lovelorn lyric by the late singer. Tickets for ‘a night at the opera’ have been in demand since time immemorial and it is not hard to figure out why – with love and the disappearance thereof as its perennial theme, this art form is guaranteed to keep audiences throughout the world spellbound. Opera, with its heady mixture of music, drama and dance, originated in Italy in the 17th century, where it was initially staged by kings and noblemen to impress visiting royals and politicians. The early operas took their themes from classical Roman and Greek mythology, with ode to music ‘Orfeo’ (inspired by the mythical Greek musician Orpheus) being a notable example. 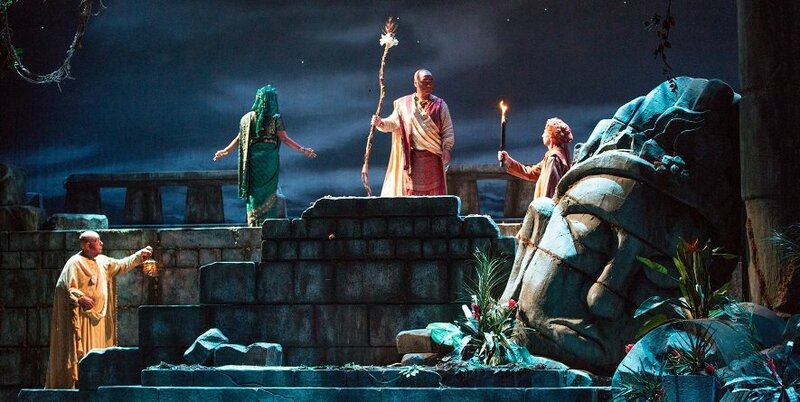 It could be argued that this is why the opera appeals so much to the human psyche – as, of course, the ancient world harbours all that has ever been known in human experience. One of the striking elements of opera, in addition, is its suspended reality – singers and actors on stage may be singing about love, death and grief while in fact acting out the opposite. Are you keen to visit the opera in its homeland of Italy, and do you wish to secure premium opera tickets? Imagine yourself with your loved one, seated in Milan’s legendary opera house, La Scala, watching the empty stage in intoxicating anticipation – it could be Georges Bizet’s ‘Carmen’ or Giacomo Puccini’s La Bohème you will be watching. Or would you perhaps like to enjoy opera closer to home at the Royal Opera House in London, where you could be attending Verdi’s tragic opera ‘La Traviata’? Wherever your fancy takes you – we will furnish you with the required opera tickets. Remember: ProvidingTickets is able to source VIP tickets and premium tickets for opera houses anywhere on the globe.